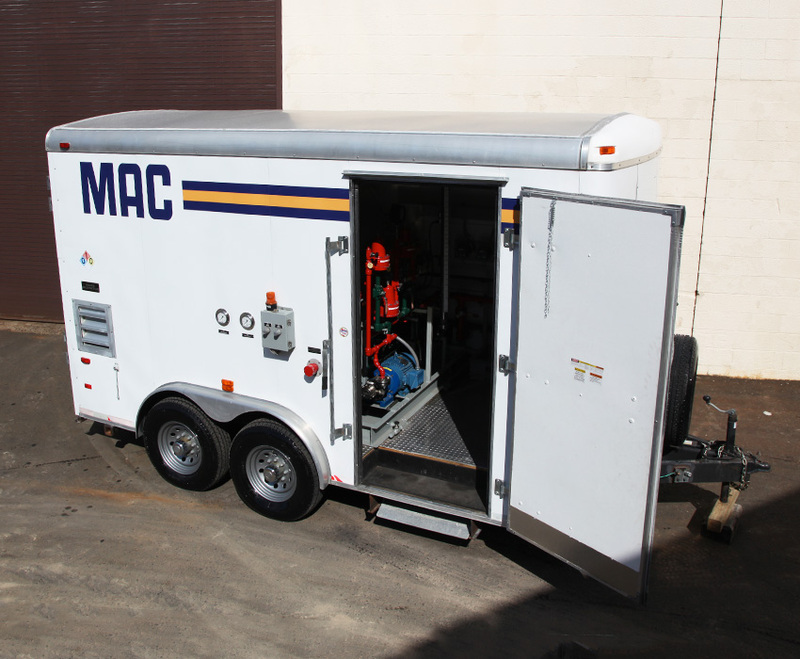 MAC portable pressurizing plants are designed for emergency use during the replacement of an existing or a malfunctioning pumping plant. A reliable backup system for use in case of emergencies or scheduled maintenance. 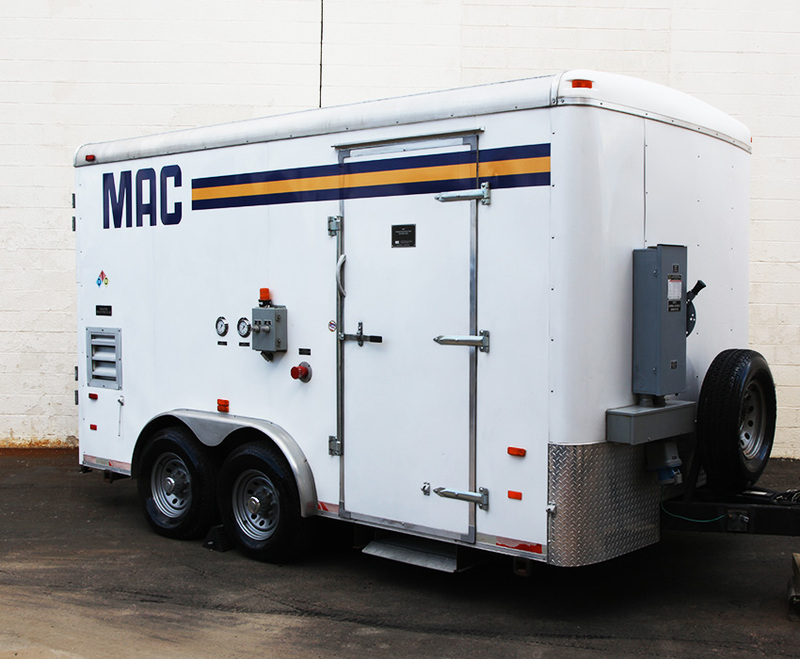 Our portable pressurizing systems are highly reliable and efficient, built with quality craftsmanship. 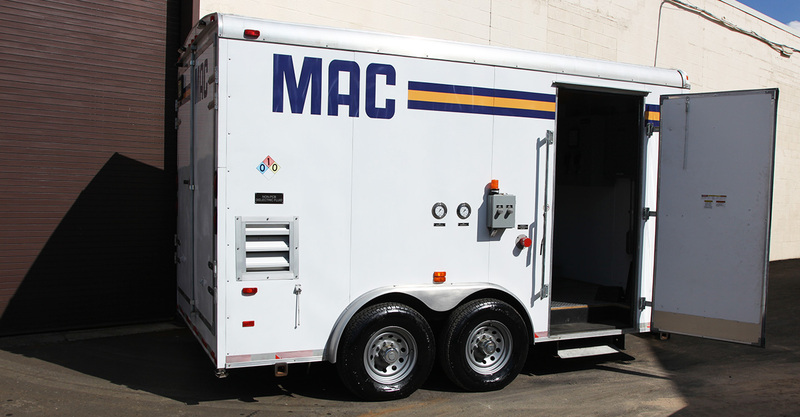 The standard Series-21 is housed in a weather-tight, heated cabinet with front and side doors. 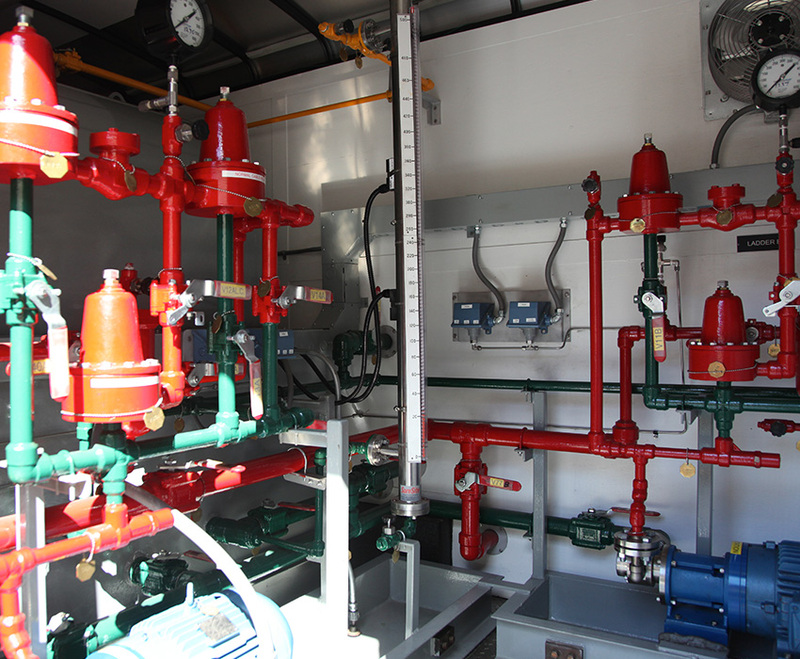 Inside, it is equipped with a single high-pressure pump, relief valves, strainer assembly, gauges, pressure switches and connection points for remote monitoring alarms.